Huawei says it expects 2018 sales revenue to rise by a fifth despite a difficult year in which governments around the world increased their scrutiny of the company’s role in their telecommunications networks. The Chinese firm has agreed 26 commercial contracts for 5G, and has shipped more than 10,000 5G base stations, while it has also shipped more than 200 million smartphones. The critical and commercial success of the Huawei P20 has helped Huawei overtake Apple to become the world’s second largest mobile phone manufacturer. This performance, combined with ongoing investments in cloud and software, means Huawei anticipates a 21 per cent rise in annual turnover to $108.5 billion. Rotating Chairman Guo Ping said it would press ahead with its product roadmap and would overcome any challenges it faces from governments and regulators. “It has been an eventful year to say the least,” he said in a New Year message. “Our business performance remains strong, and this is by far the most direct form of validation that we can receive from our customers. It is also our best response to negative conjecture and market restrictions. There will be little demand among operators for barriers to the use of Huawei kit as this would reduce choice, hinder innovation and increase costs. Ping warned that operators would suffer if Huawei was excluded from 5G procurement. “We are ahead of others in domains like wireless, optical, data communications, and smart devices. 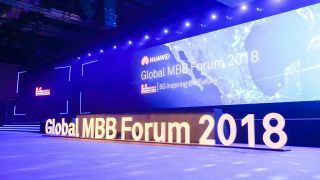 For 5G markets that choose to not work with Huawei–they will be like an NBA game without star players: the game will go on, but with less deftness, flair, and expertise. Ping concluded by stating Huawei would not be deterred by any hostilities and would continue to invest in its networking technology and cybersecurity capabilities while giving field offices more control. “We will remain calm and composed in the face of adversity, and use the certainty of legal compliance to deal with the uncertainty of international politics. Going global means complying with the laws of all countries and regions where we operate. This is the most important basis for us to survive, serve, and contribute to the world at large.